Contemporary whimsical canvas painted with large daiy, ladybugs, and th word "LOVE". Stitched with love sewing design. Contemporary geometric design on oval box. Bird sitting in nest with painted tags hanging down spelling "Love"
Sweet tin mini pockets with delicate floral designs. 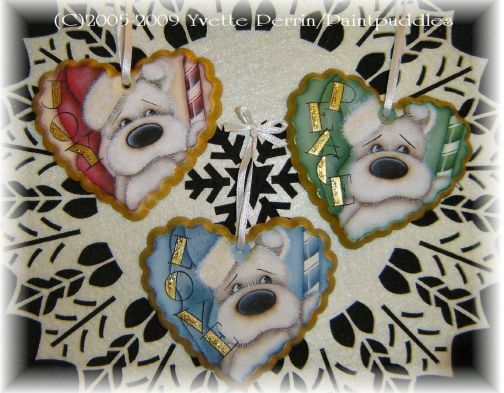 Ornaments for your sweet heart!